Do you want to explore wrecks and caves optimally? 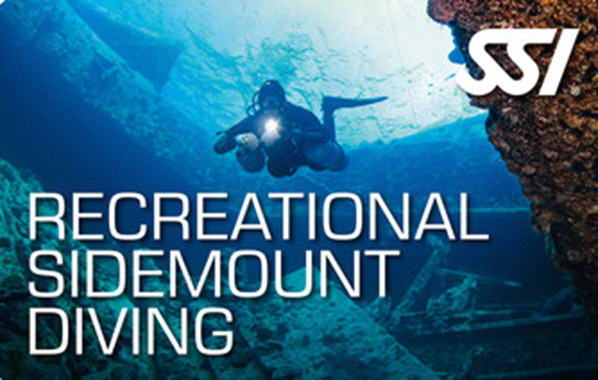 Then the SSI course “Recreational Sidemount Diving" is just right for you. After all, many divers worldwide already swear by this widespread practice. The great advantages of this diving method are: you get to out without a heavy tank on your back and have a much greater freedom of movement. In addition, the SSI course gives you a feeling of buoyancy control that you have not yet experienced. Prerequisite for the completion of the course is the Open Water Diver. In addition, you must be at least 12 years old!